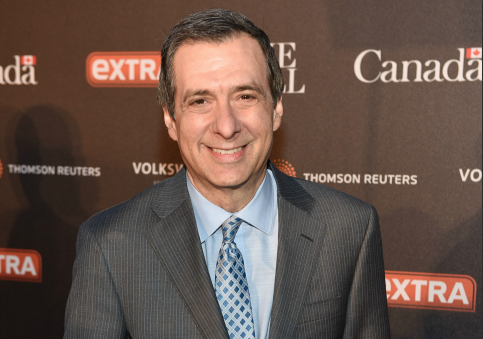 Fox News host Howard Kurtz on Monday blasted the Associated Press for distorting why he temporarily took down an on-screen graphic on his program that appeared to show the network trailing behind other stations in trustworthiness. The controversy arose on Sunday, when Kurtz had pollster Frank Luntz on his show "Media Buzz" to discuss the media's coverage of Donald Trump, and how the largely negative coverage has affected the president's approval rating. During the segment, Kurtz referenced a Monmouth University poll, which found 77 percent of respondents said the media report "fake news" occasionally or regularly. While discussing those findings, a different graphic from the same poll flashed on screen, showing that respondents trust CNN, MSNBC, and Fox News more than Trump. "WHO DO YOU TRUST MORE?" the graphic's banner read. Below, the graphic listed Fox News at 30 percent, while competitors CNN and MSNBC polled at 48 percent and 45 percent, respectively. Kurtz asked for the graphic to be taken down, because it was out of sequence and not pertinent to the discussion at the moment. "This is not the graphic we are looking for. Hold off. Take that down, please," Kurtz said. The host brought back the graphic less than a minute later in the same segment, when the discussion turned to who the public trusts more: the major news networks or the president. The AP reported that Kurtz asked for the graphic to be taken down, but did not clarify the context in which it was brought up or the fact that Kurtz soon returned to the topic. The AP's reporting led social media users to wrongly assume Kurtz panicked upon seeing the findings and demanded the graphic be taken down. CNN host Chris Cuomo was one such Twitter user, sharing the Raw Story headline: "Watch Fox host Howard Kurtz panic after graphic shows Fox News is least trusted network." ‘Take that down! ': Watch Fox host Howard Kurtz after graphic shows Fox News least trusted https://t.co/R7IO4JnFhu via rawstory haha aside, the real ‘raw’ story is from Trump on down the main political currency is tearing down anything you disagree with as fake. Cuomo appeared to misinterpret the poll's findings. As the Washington Post noted, "the three cable networks were not being compared to each other; instead, poll respondents were asked to compare each network to Trump as a trusted source of information." The Post added that, because Fox's viewers lean conservative, they are more likely to believe what Trump says, even compared to their preferred news network. CNN and MSNBC viewers, in contrast, are more likely to lean liberal, and therefore place more trust in their preferred outlet over Trump. Kurtz took to Facebook on Monday to call out the misrepresentations and demand a correction from the AP. "During the segment, the control room mistakenly posted the graphic early, while I was dealing with the fake news questions," Kurtz wrote. "So I calmly asked that it be taken down. About a minute later, I asked for the graphic to be put back on the screen and discussed the finding with my guest, pollster Frank Luntz." "The AP reported my request to take down the graphic and ended the story there, creating a false impression by not mentioning that I called for the very same graphic shortly afterward," Kurtz added. "This echoed partisan chatter online that I had somehow panicked or didn't want to show the poll graphic, which is flatly contradicted by reality." Kurtz also reiterated the Monmouth poll's findings so no one could accuse him of hiding facts from his viewers. "For the record, the Monmouth poll found that 30 percent of those surveyed said they trusted Fox more and 20 percent said they trusted Trump more. Another 37 percent said they trusted both equally," Kurtz wrote. "The poll found that respondents trusted CNN more than Trump by 48 to 35 percent, but only 13 percent trusted both equally. The survey said those questioned trusted MSNBC more than Trump by a 45-32 margin, but only 16 percent trust both equally." "I felt viewers deserved all the facts," Kurtz added. "That's more than I can say for the AP, which owes me a correction." The AP published a correction on Monday, noting that "the graphic was taken down because it was used during the wrong segment, and was used again on the show." This entry was posted in Culture and tagged Associated Press, Fox News, Media, TV News. Bookmark the permalink.